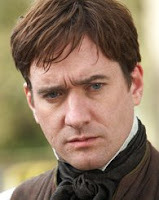 BBC recently released a press release for a new TV project that Matthew Macfadyen has signed on to co-star. Which one of the following DVD Special Features From P&P movie did you enjoy watching the most? Finally, Matthew Macfadyen's Little Dorrit will premiere here in the U.S. on PBS's Masterpiece starting tonight (March 29 - April 26) episode 1. It will be shown in 5 episodes. Today (3/26) marks the 24th Birthday of the lovely, beautiful, talented, and Oscar/Golden Globe Nominated British actress Keira Knightley. Keira's upcoming film projects for 2009/2010. P.S. -> Speaking of birthdays or in this case anniversary, my P&P (2005) Forum turns 3 years online today too! I created the P&P fan forum the same day as Keira's birthday 3 years ago today (of course, unaware at the time that it was her birthday, lol). So, yeah, there are 2 reasons to celebrate today and every year...KK's b-day and the P&P forum. How cool, eh? Happy 3 Years Online P&P Forum! If a sequel to the 2005 P&P movie is made in the near future would you be interested in watching it? Keira Knightley was interviewed by New York's Time Out for the upcoming U.S. release of her film, The Edge of Love. She talks about singing and trying to avoid her upcoming birthday (March 26th) among other things.Read parts of he interview below:Time Out New York: Happy early birthday. Keira Knightley: Thank you. I was kind of trying to ignore it.You’re not old enough to try and ignore it yet. No, I am. I’ll ignore it now, and when I’m properly old enough to ignore it I’ll have been ignoring it for so long that I won’t even notice.Is it true that you were shy about singing in the new film? The Daily Mail talked to Carey Mulligan about the new film, Never Let Me Gothat she and P&P co-star Keira Knightley will be co-starring and filming begins next month. Here are some rehearsal and during the stage play photos as well as the afterparty cast photo with Rosamund Pike and Dame Judi Dench. Check them out and click the images below to enlarge! Wenn.com/IMDB News reports that Dame Judi Dench has been forced to temporarily pull out of a new London play after badly spraining her ankle in a fall outside the theater on Thursday. TheCasino Royale star, 74, was exiting the Wyndham theater, where she is starring in new play Madame De Sade, when she tripped over a stage door and had to be taken to the hospital. She is now nursing an injured ankle and has been ordered to rest up and allow it to heal - but she is determined to be back at work next week. Her spokesperson says, "As Judi Dench was leaving the theater, she tripped at the stage door and fell. She was taken to Accident and Emergency, where she was diagnosed with a severely sprained ankle. "Doctors have advised that she bring no weight to bear on her foot for the time being. As a consequence, Judi's role of Madame de Montreuil will be performed this weekend by her understudy Marjorie Hayward. Critics have been largely unimpressed by Madame de Sade, the latest show in the Donmar Warehouse season in London's West End, starring Dame Judi Dench. Written by Japanese playwright Yukio Mishima, the drama focuses on how the debauchery of the notorious Marquis de Sade affected his wife Renee. Rosamund Pike plays the title character with Dench playing her outraged mother. De Sade himself does not appear. According to the Daily Mail, the result is "desperately heavy going". "Not even the presence of Dame Judi Dench can prevent it turning into 115 minutes of verbal and visual punishment," wrote reviewer Quentin Letts. The Guardian's Michael Billington praised the "breathtaking" acting and staging of Michael Grandage's visually "stunning" production. However, he continued, the play itself - set in Paris in the decade preceding the French Revolution - "is an example of the Higher Tosh". Following last week's Telegraph.co.uk's Made de Sade article and photo. This week, Telegraph.co.uk's Lucy Cavendishhas interviewed Rosamund Pike as she gets ready to do Madame de Sade stage play with P&P/Die Another Day co-stars Judi Dench. Even before her very public break-up Rosamund Pike found stardom uncomfortable. Still single – and about to play the Marquis de Sade's wife – she talks about why she's now happier with, and by, herself. Which ending version of the P&P '05 movie did you prefer watching? As previously posted here (Rosamund Pike bonds with Judi Dench in Madame De Sade) back in August 2008. Telegraph.co.uk has a new article and photo ofP&P/Die Another Day co-stars Judi Dench and Rosamund Pike with the rest of the cast. What drove the writer of a play about the libidinous Frenchman to disembowel himself? Finally, a contemporary romantic drama for the ''Pirates of the Caribbean'' queen! Winner of Sharon Lathan's novel! I am very sad to say that the original winner never contacted me. It has been 5 days and per my rules I need to pick someone else. I am very sorry Dava! I do hope you purchase the novel as I loved your enthusiasm. I would still love to hear from you! So, the names were again placed into the basket and picked at random. The new winner is Terry Spear! Again thanks to everyone who participated. It was tremendous fun! Which one of the following tracks from the P&P Movie Soundtrack was your most favorite to listen to?